I found a great support article entitled, “Fix OneDrive for Business sync problems” that goes over issues you may have when syncing files using the old “longtime” OneDrive for Business sync client. It should be used to augment what I wrote below around SharePoint doc library syncs that “won’t stop”. 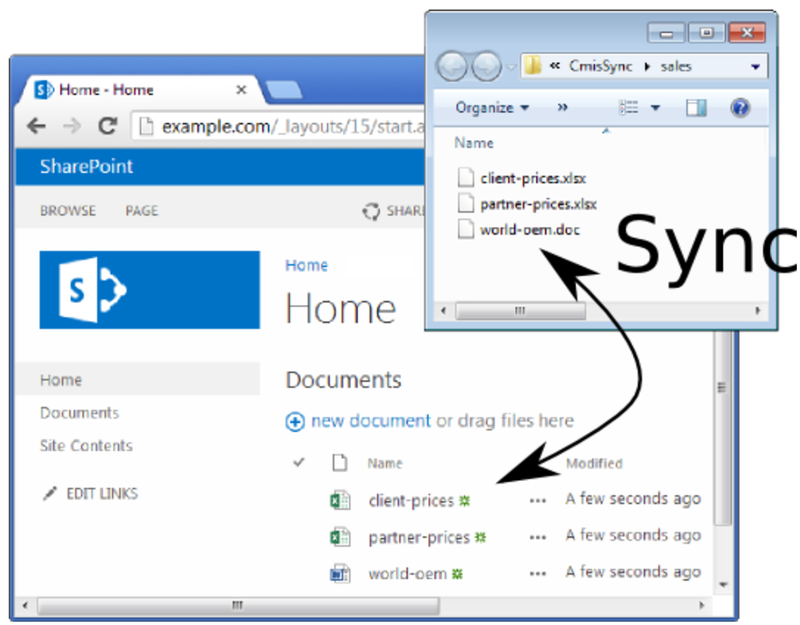 So you’ve installed the old OneDrive for Business sync client to ensure that you can synchronize files and folders from SharePoint sites. And you’ve happily synched several repositories and everything’s looking great, right? What if you see the old OneDrive for Business client’s icon in the systray and it just won’t stop synching or appears to continuously attempt to sync an unresolved file? Sometimes the OneDrive for Business client gets hung syncing a file if you open, edit, or otherwise modify the file while it’s being synced from your client to the SharePoint site. This can also happen if you are synching with the SharePoint site, and you disconnect your computer or otherwise halt the sync process while changes are being uploaded to the SharePoint site. If the file is an Office document, open the file and save it under another file name in the same directory. Then delete the old file. This will eliminate the conflict and your old OneDrive for Business sync client will stop attempting to sync. If the file is non-Office-based, move the file locally & wait for the file’s disappearance to resolve. Move the file back to the SharePoint folder, and this should resolve the conflict. There is a chance that this won’t work, and if this is the case, rename the file before moving it back to the SharePoint folder. Note: Be careful if you share the file with others. Make sure they aren’t using the same file at the same time so as not to remove it from the SharePoint site while they are using it.